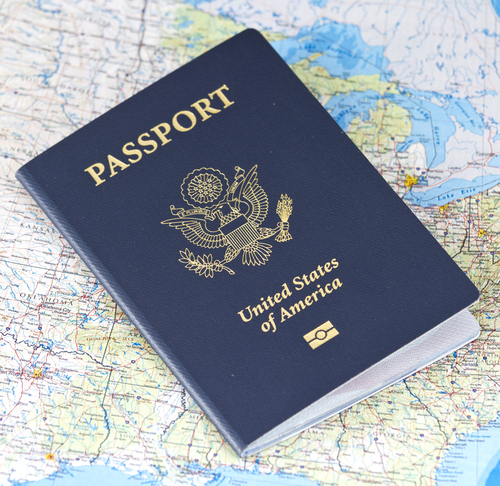 If you are planning to travel within two weeks, you must apply for a passport in person at a U.S. Passport Agency or Center. Expedited fees apply. Those closest to Prince George’s County are located in Washington, DC and Philadelphia, PA. You must make an appointment in advance by calling 877-487-2778. Passport service is offered “first come, first served.” No appointment is needed, but please be aware that Passport Service can be very busy. It takes time to process the application and the library staff can only complete as many applications as time allows. There will be a wait during peak times on Saturdays and in the evenings. Please be patient and allow for a wait. If you come during the later hours of the day, staff may not have time to process your application. NOTE: Please be advised that we reserve the right to close the passport waiting list depending on the time available for processing applications. Información general sobre pasaportes, en Español, de Departamento de Estado de Estados Unidos. together, all members must be present before the applications will be accepted. both sides of the non-appearing parent’s ID. A separate check, credit card or money order for Library passport fees. Proof of Identity – valid driver’s license/state ID card/military ID/passport. Learner’s permits are not accepted by the Department of State. A completed application form DS-11. The form must be completed in black ink. Please do not sign the form. Proof of U.S. Citizenship. Only these forms of proof are accepted. Photocopies are not acceptable. One 2”x2” passport photo with a white background. For customers requesting ‘hand carry’ service, a letter of authorization and an itinerary are required. For children deriving citizenship through parents, the parents’ naturalization certificate, the child’s permanent resident card and the child’s birth certificate are required. If the birth certificate is not in English, a certified English translation is required. Amounts vary depending on the product you need. Department of State passport fees are payable by check or money order ONLY. A separate check, payable to the Department of State, is required for each application. You can see a [PDF] file of the state fees and passport information here.